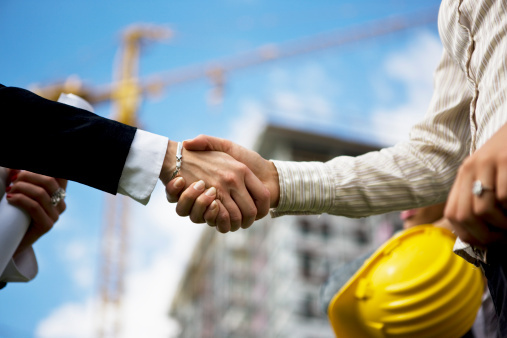 Mediation has been a popular way to resolve construction claims. A confidential process, both parties and their lawyers sign an agreement to keep their talks behind closed doors. The claim is then settled in a rapid fashion, avoiding all of the emotional stress, severed business relationships, and financial costs associated. After a dispute arises, both parties must agree to mediate. While mediation is not mandatory, it has been a popular option due to its flexible and cost-saving methods. By agreeing to mediation, both parties would then need to take of the costs. Often times you will see both parties splitting the mediation cost. Private mediation through a non-judicial source can be a hit or a miss. With mediators having varying degrees of experience, their competence shouldn’t be based on their hourly fee. Many times you will find mediators that are not qualified and end up delaying the mediation process. The goal is to simplify the process and save as much time and money as possible. Commit the time to extensively research a mediator before hiring them. Mediation should occur as early as possible. If all of the requirements for mediation have been approved, commencement should begin before the litigation or arbitration process. Communication is important to both parties and mediation is often unsuccessful when there is a lack of a claim description. Construction disputes can be emotionally and financially draining. There are options out there, like mediation that could potentially reduce all of the stress as well as successfully resolving the claim. Author Bio: Lyle Charles offers interim short term management services, mediation, and business coaching for all types of construction projects.